Apparel Insurance.com is an insurance brokerage that understands the coverage needs of apparel companies. Today, fewer insurance carriers, and fewer insurance brokers are effective serving the garment industry. The demands of international trade, and (for most) foreign source production create a need for highly specialized coverage plans, and agents with the premium volume/ability to handle the larger apparel risk. Domestic manufacturers and distributors also benefit by our broad, any location, insurance benefits. Please contact us today at (818) 996-0900 EXT. 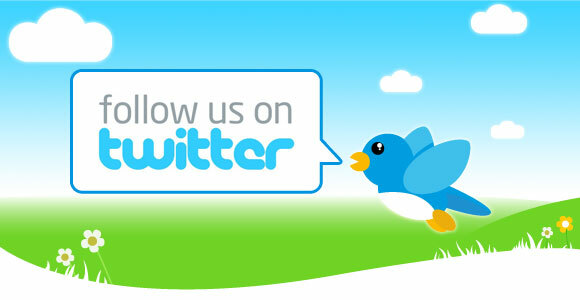 101 - Check out www.ApparelInsurance.com today! Certified Trainer Insurance is a full service insurance brokerage dedicated to the health and fitness industry. When it comes to insurance for fitness trainers, Certified Trainer Insurance has the skills and resources to provide strategically planned insurance solutions for your business. Check out www.CertifiedTrainerInsurance.com today! Looking to insure your mechanical bull? At Mechanical BullI Insurance.com you will find the best possible insurance coverage at the most affordable price available. Coverage is all fifty (50) states is available. Low down payments and financing options available. Don't settle for the normal bull, contact Mechancal Bull Insurance today! Please contact us today at (818) 996-0900. Check out www.MechanicalBullInsurance.com today! As proven specialists insuring indoor playgrounds, jungle gyms and kid fun activity centers, Indoor Playground Insurance provides customers with the necessary tools to obtain proper insurance coverage at affordable pricing. Indoor PlayGround Insuance offers exclusive insurance programs for General Liability, Property and Workers' Compensation Coverage. Please contact us today at (818) 996-0900. Check out www.IndoorPlayGroundInsurance.com today! HairStylistInsurance.com offers specialty insurance products designed to meets the needs of independent professional hair stylist's. Our goal is to give insurance protection to hair stylists in the event of an accidental injury to a client. The mission of a hair stylist is to provide their client with a service that leaves them walking away feeling great about themselves. Our mission is to protect you, while your making that happen. Accident's do happen, such as, over processed hair, burnt scalps and nicks. You need to "Protect Your Ability To Earn A Living" if a lawsuit were to arise. Contact us today for more details at (818) 996-0900. Kulchin Ross Insurance Services, LLC. is one of the largest privately held insurance brokerages headquartered in Sunny Southern California. We are a proud member of the ISU Insurance Services national network of over 190 offices coast to coast staffed with 2,200+ insurance professionals ready to provide an amazing array of price, product, expert claims advice, and service. More than 80,000 businesses and 3,000,000 families and individuals already know from personal experience. With over $3.2 billion in annual premium volume, ISU is proudly ranked #2 among the "2017 top agency partnerships" by Insurance Journal. 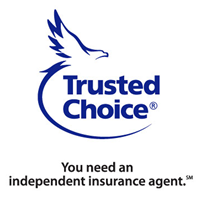 When choosing an insurance agency, you want a company you can trust. We are an independent insurance agency. We do not work for an insurance company; we work for you! As an independent insurance agency, our duty is to our clients best interests. As your insurance agents, it is our responsibility to provide YOU the best service and the best coverage, at the best possible price. Open, honest discussion is what makes our relationship with Kulchin Ross Insurance so special. They truly understand our business, which allows them to custom tailor insurance solutions that work for our special needs. Our agency is affiliated with many of the highest rated and most successful local and national carriers in the market. We will approach the carriers that we know have the resources to meet your insurance needs. Having choice among carriers allows for a continued execution of strategy, especially if market conditions demand change. The carriers shown represent just some of the carriers that we work with.